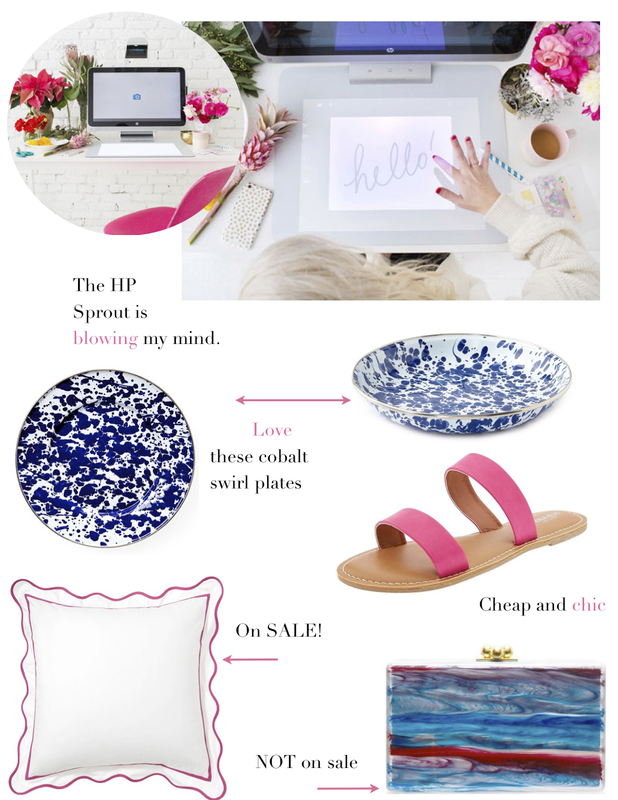 Have you heard about the HP Sprout? I discovered it through this post by Bri Emery. Accessories are a great way to take any look to the next level. You could easily pair the above items with with a t-shirt and jeans and completely transform your look. The top image is of Gen Sohr whom I first posted on a few years ago here. I've always been drawn to her apple poster and was excited to find one for purchase. 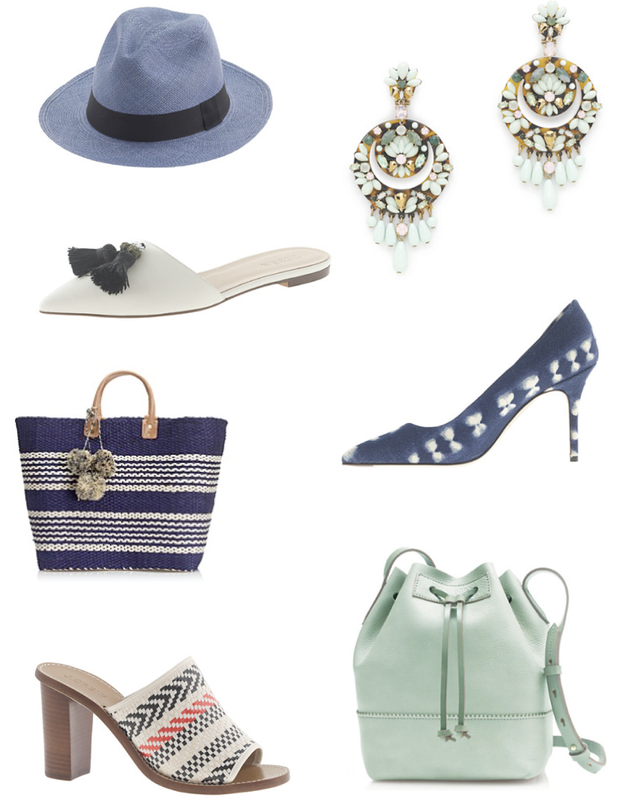 These blue suede shoes are the perfect pairing with dark denim. 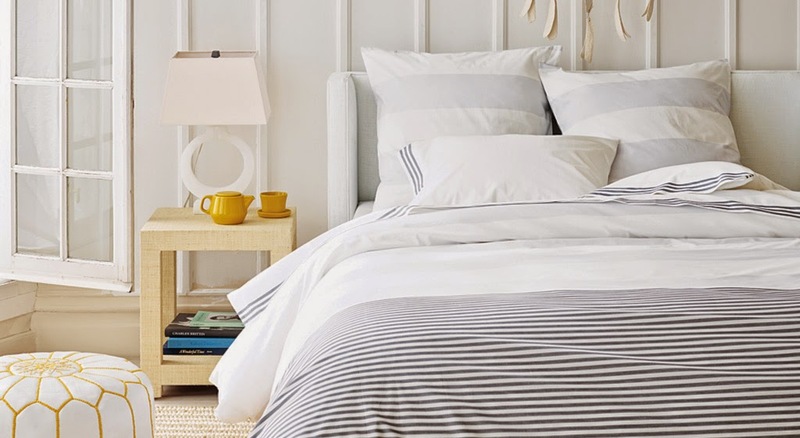 Have you seen this new bedding? I prefer the green colorway and it actually reminds me of this discontinued ruby green fabric - but a more whimsical take. 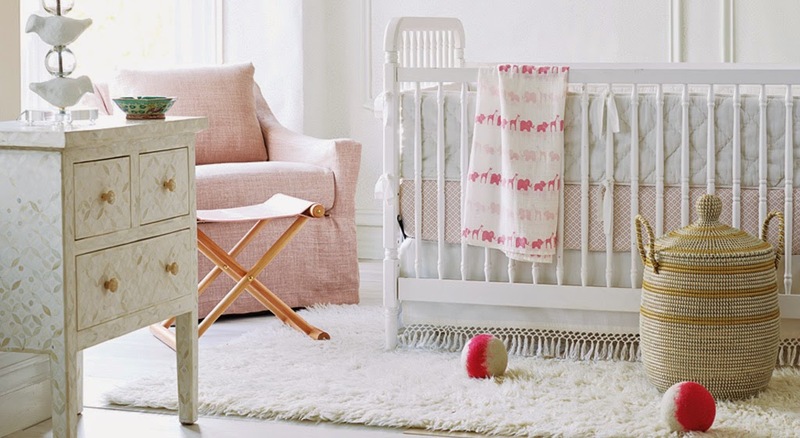 Serena & Lily launched their site redesign and it's full of their Spring 2015 New Arrivals. You'll find some of your old favorites in new colorways and sizes- as well as exciting new pieces. 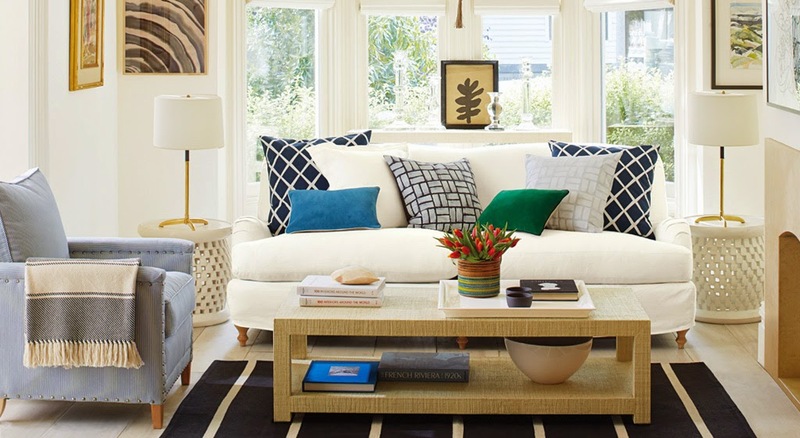 And these striped throws are at the top of my list. 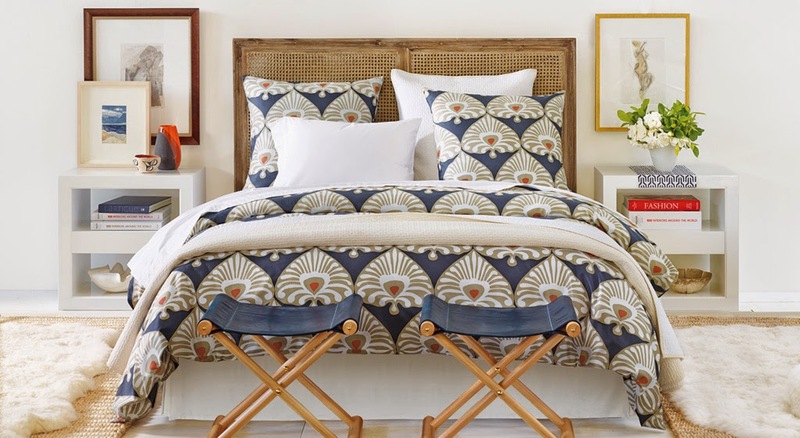 I love blue and white decor and think it's so calming for a bedroom. 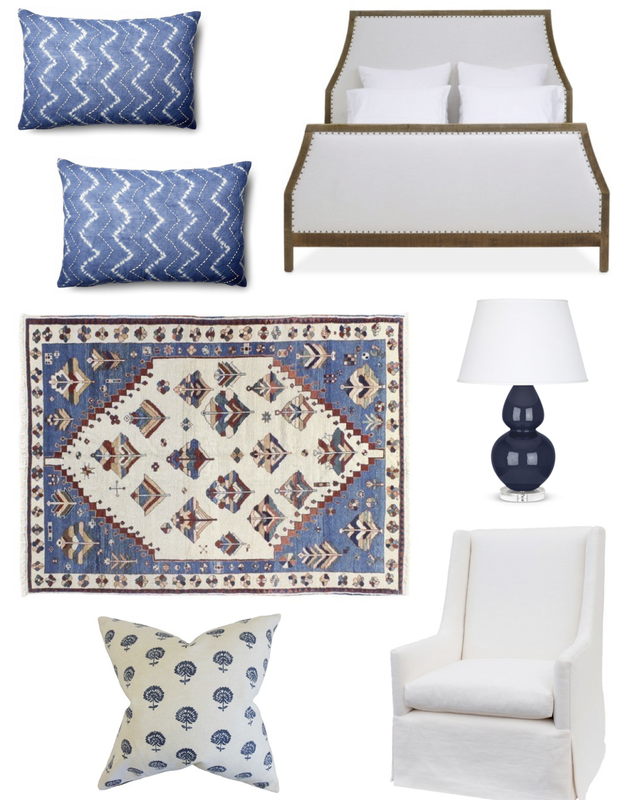 Above are my choices for a bedroom retreat packed with pattern. 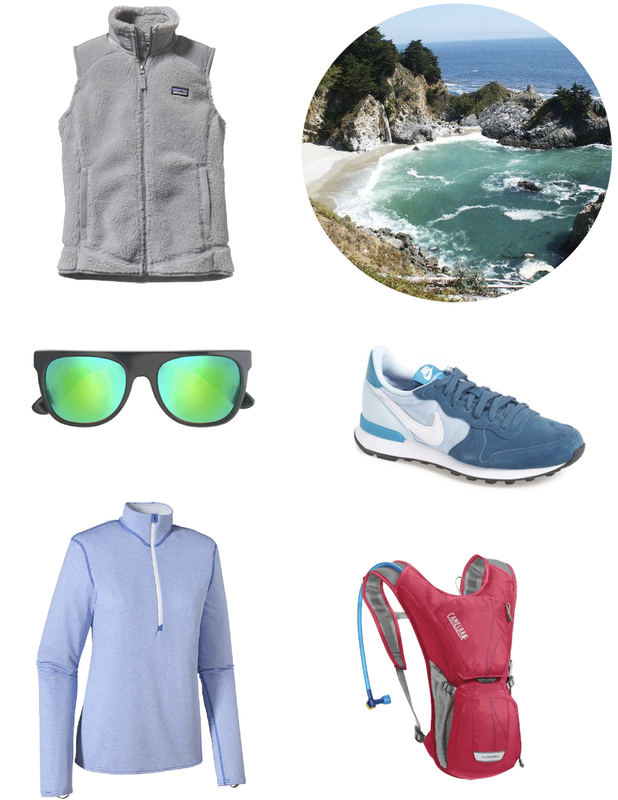 I'm tapping into my high school style a little bit on this post as I prep for my upcoming trip to Carmel, CA. I'm breaking out my fleeces (prized possessions in HS that are now creeping towards vintage status), bringing my Camelbak, and may even throw in some of my old Patagonia shorts- which were actually just men's bathing suits that I cut the lining out of. Yup, feels like high school all over again (sans the Camelbak, that's just gratuitous). 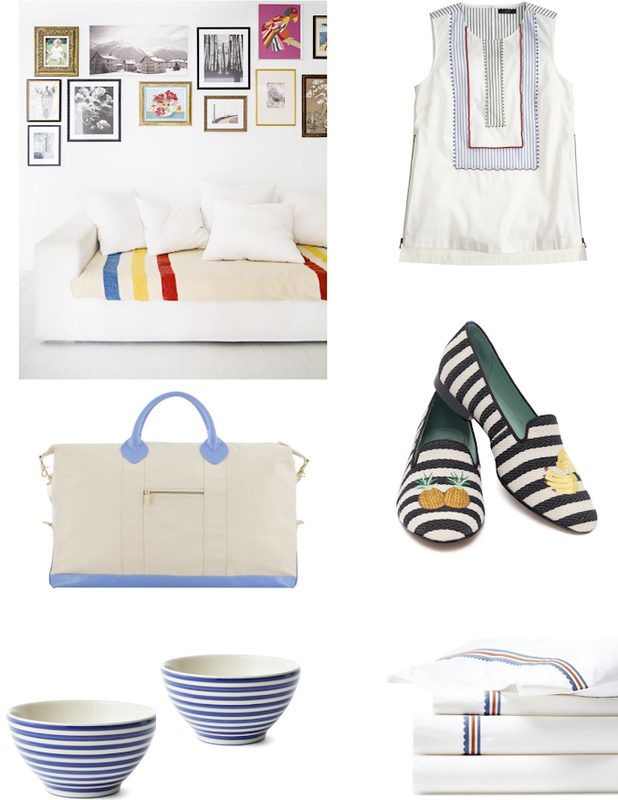 Continuously a favorite of mine here are my most recent picks featuring stripes! 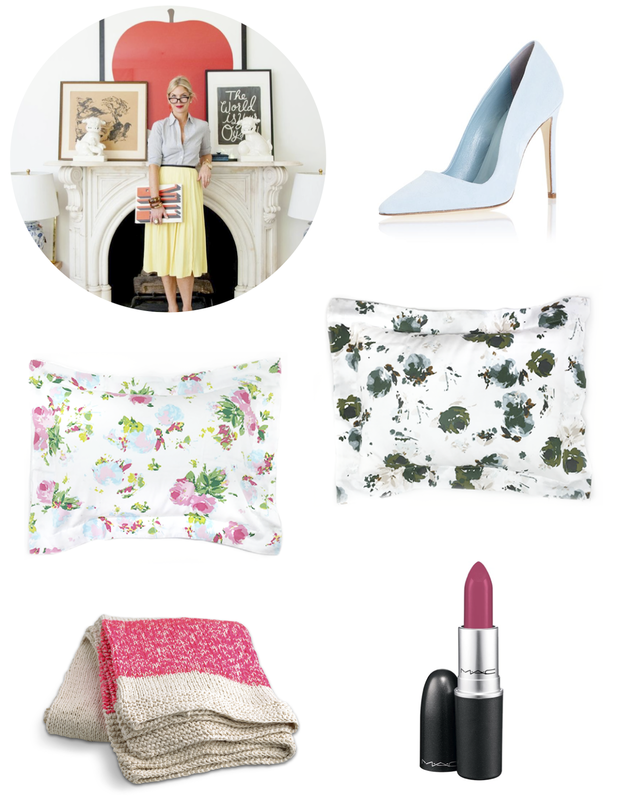 Shop all of my current loves here.